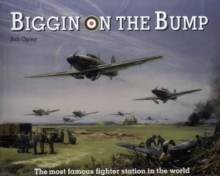 This book recreates the atmosphere of life as it was when the flying bombs - V1 and V2, or Doodlebug and Rocket - were launched by the Germans in a last-ditch effort to change the tide of World War II. Using photographs and maps from newspapers, museums and libraries, the book is a history of the weapons and includes many letters and anecdotes. The picture is completed by contemporary documents, statistics and colour photographs of some of those who "played a leading part". The Germans called them the "vengeance weapons". 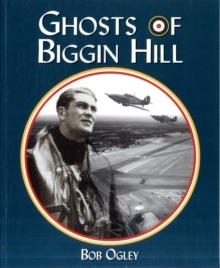 The flying bombs were designed to destroy London, but 100s were shot down on Kent by the RAF and men of the anti-aircraft batteries, or caught by the balloon barage. 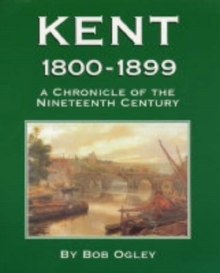 In terms of casualties, the "doodlebug days" were worse than the Blitz, but the people of Kent faced the onslaught with equanimity, courage and defiance. Appealing in the local press for reminisences and photographs, Bob Ogley was overwhelmed by 100s of letters and scores of telephone calls. 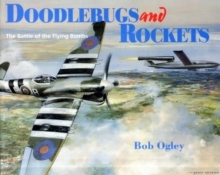 Many people remembered how the Doodlebugs roared across the Kentish skies like a badly-tuned motorbike, how the engine cut out and the missile fell silently to earth followed by an earth shattering explosion.It was soon followed by the Rocket, which flew at 3600 mph and also arrived without warning from the stratosphere bringing a new dimension to air warfare which still casts a shadow today. 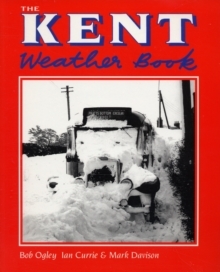 By the author of "Biggin on the Bump" and "In the Wake of the Hurricane", and co-author of "Eye on the Hurricane" (with Kev Reynolds), "Hurricane Gilbert" (with Bob Hill), "The Kent Weather Book" (with Ian Currie) and "The Sussex Weather Book" (with Ian Currie and Mark Davison).